Blogzine: What to Consider Before Hiring a Packer and Mover? A General Blog About Tour, Travel, Holiday, Food, Home, Health, People, Lifestyle, Shopping, reviews and more. What to Consider Before Hiring a Packer and Mover? We know that shifting a house, office, factory, company, industry or whatever is not an easy task. 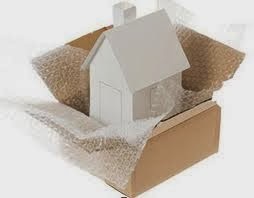 Even the thoughts of shifting or relocation may give us nightmare about the problems faced during moving and shifting. But many thanks to the different movers packers & moving companies which have taken our burden from us and have made the shifting & relocation very easy, less painful and comfortable. When we hire a packers movers or any moving company, their guys take care of every thing, right from packing our smallest goods to largest goods, marking & categorizing all the boxes & cartons so that it saves time while unpacking and rearranging the goods in new location. Whether it is loading & unloading of goods in truck, carrying the goods to the new location, all legal works & formalities while crossing the states boundaries, etc. all is undertaken by them. But we should keep in mind few things before hiring any packers movers for shifting. If you search over the internet for movers packers service providers then you would find hundreds of movers an packers company there, all promising you for the best services and reasonable price. But I tell you there are so many companies which are not genuine they just find some new innocent customers and try to fleece them without any good services and customer satisfaction which even may turn into a nightmare for the some customer. I still remember when we shifted our house around eight years ago, and hired one of such companies for shifting our house. On the day when shifting was to be done, their agent asked us to pay 20 percent more than what was promised, for this he cited many reasons like different taxes, file charges, commissions, etc. and refused to start the work before the payment. And we had no option other than paying him 20 percent more and we did. And after unloading the goods at the destination location they refused to unpack the goods as it was not included in the agreement, we too did not pay attention to this point while negotiating them before hiring. So keep your mind alert while negotiating and hiring any one. Thus it is very necessary to ask each and every doubt before making any deal so that no such incident happen later. Get each and everything(which they will offer) written on paper. It is wise to think and plan before hiring any one, as by planning you will come to know many things which would be very important while shifting your home, for example many service providers do not put waterproof roofing on the top of the truck, so you can get it also included in the list before paying them. So try to visualize each and every important things right from the packing to unpacking at the destination. Author is the owner of a local search engine i.e. DialB2C.com which also provides details of different packers and movers in Delhi NCR region in India. Give them flexibility in deciding the date what is suitable for them. You can also consider shared truck which is also going to your destination city. Get quotes from at least three companies. Get rid of old and unused items before relocation date. Avoid Delayed Planning- Avoid Urgency Costs. Must Read all Fine Prints- Terms and Conditions. Ask for Free Warehousing Services. Verifying all credentials and reviews of the packer mover company. No matter what season it is, make sure to go for waterproof packing. Monitor and pay attention on how goods are loaded in moving truck. Put large and delicate items like mirror etc alongside the wall of the truck and do proper cushioning to ensure its safety. Doing good cushioning between cartons and delicate goods will help a lot as it can absorb jerk and avoid collisions between boxes and other goods. Hope you may have liked this post and found it useful.